L’amoureuse in french means ‘in love‘. I was browsing through the Sephora shop in Paris because I had a 40 Euro gift card that I received for my birthday. I didn’t know what to buy. 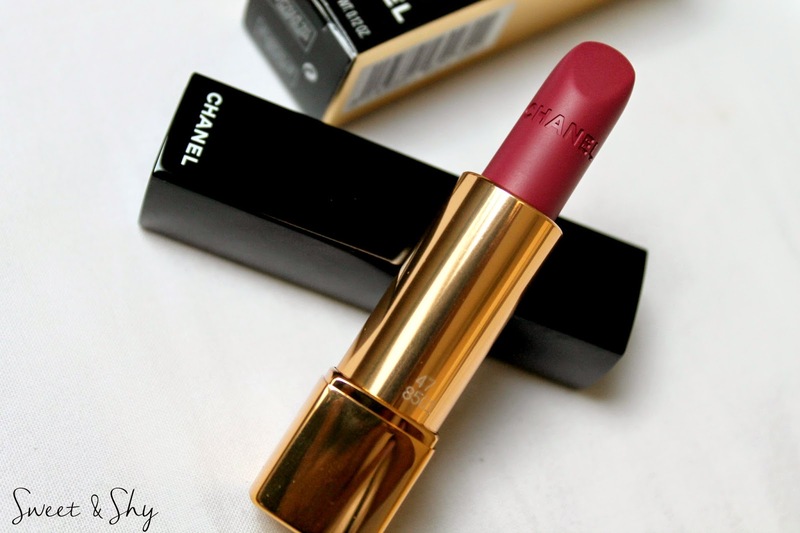 I was randomly trying out products and I liked this lipstick from Chanel. But the price. 33 Euros! I didn’t want to use my entire gift card on a single lipstick (I was greedy. I will tell you later what I did with the gift card). I came back and I was grumbling all week about not being able to buy it. So it was added to my wishlist. The guy noticed this and gifted it to me (he had to because he didn’t get me a birthday present). I love matte lipsticks. 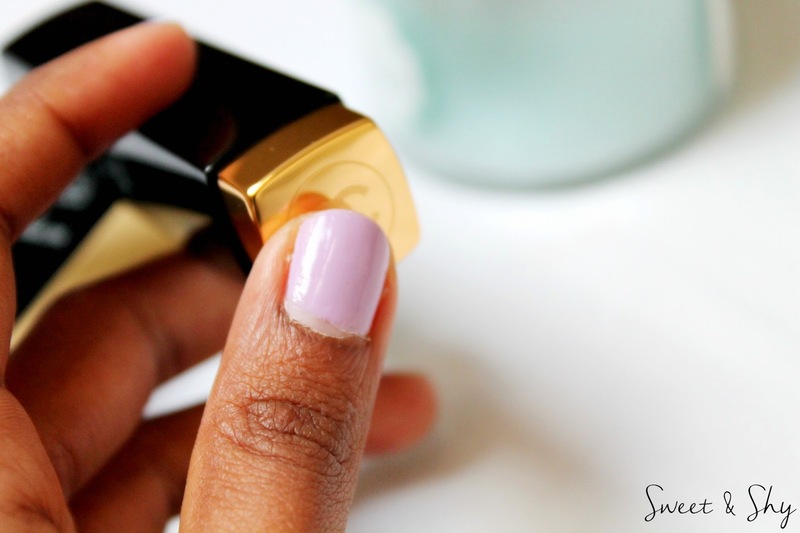 And this shade was looking good on my skin tone. 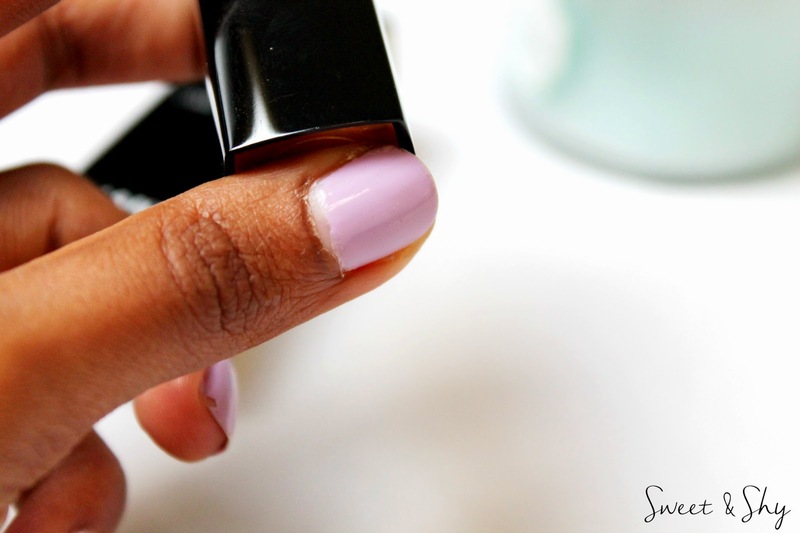 A pretty rosy mauve shade with a luminous matte finish. So it has a little bit of sheen. The black glossy packaging seems luxurious and it is prone to finger prints. To open this bullet, press the bullet at the bottom and then release. The stick pops out. 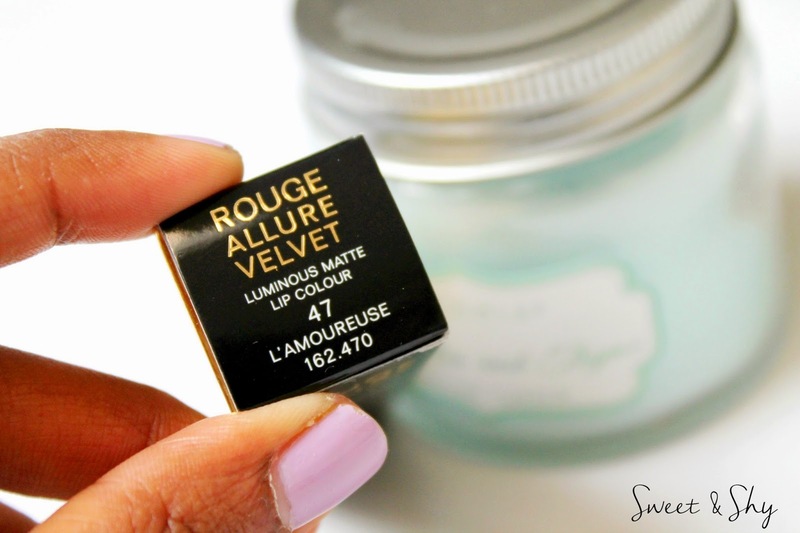 It applies like a dream and feels light like velvet. 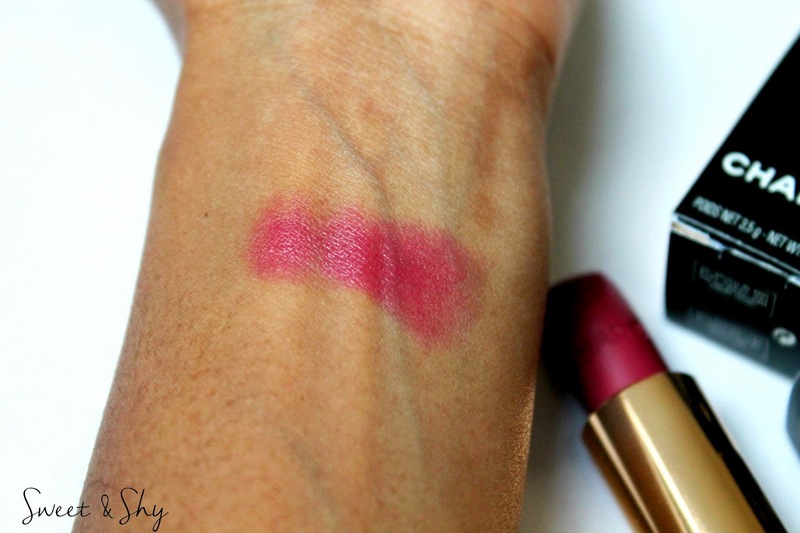 It is well pigmented and the color is build-able. The only con I find is that it transfers easily. So you may have to retouch from time to time. 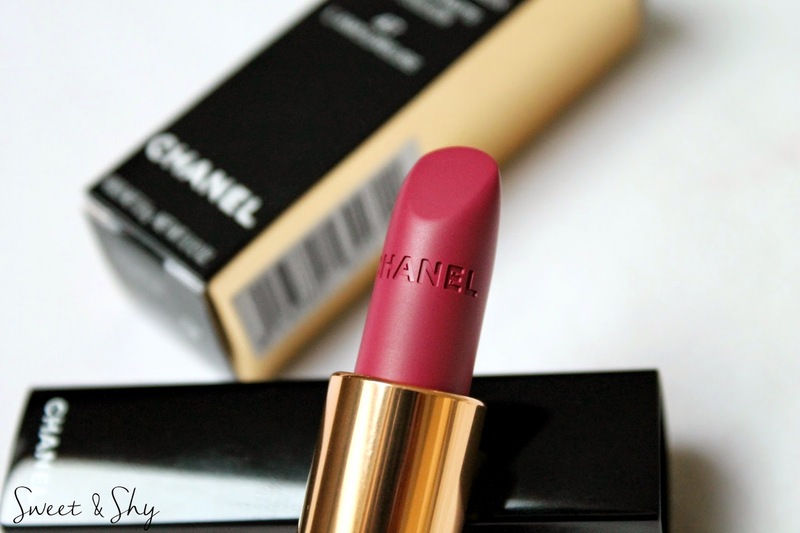 On the whole, it is a pretty color (say floral) for spring, very soft and girly. 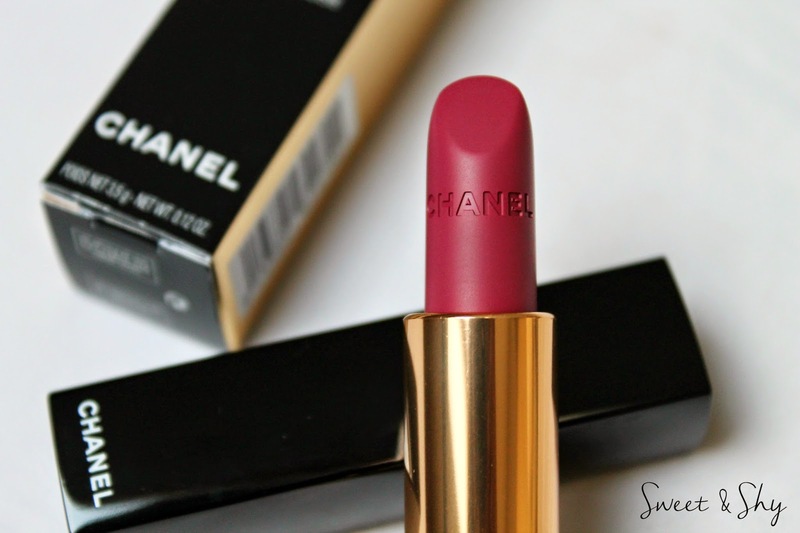 I love it as it is my first Chanel lipstick. 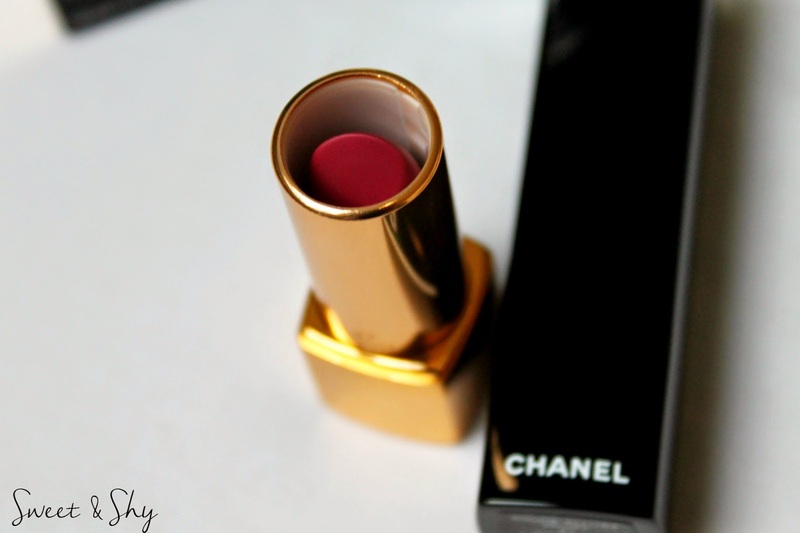 I am going to wear it everyday and you cannot hate a Chanel lipstick. Wanna see how it looks on u..